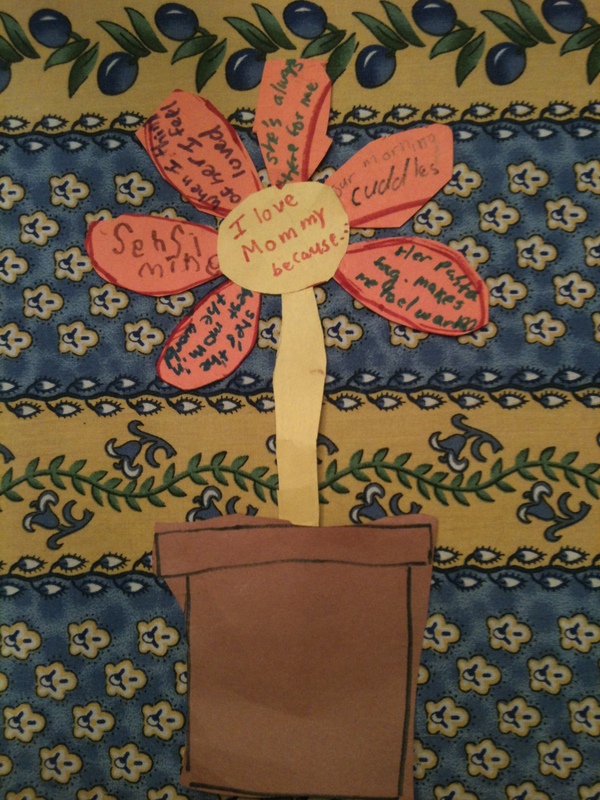 Ahh….every day should be Mother’s Day. I’ll take it. Piper likes to decorate for everything. Easter, Passover, Spring, Lent. You name it, Piper has a decor scheme in mind. She plots and plans. She eyes bunny cut outs and spring flowers. She tries to convince me that it will be fun; decorating will make our lives better. 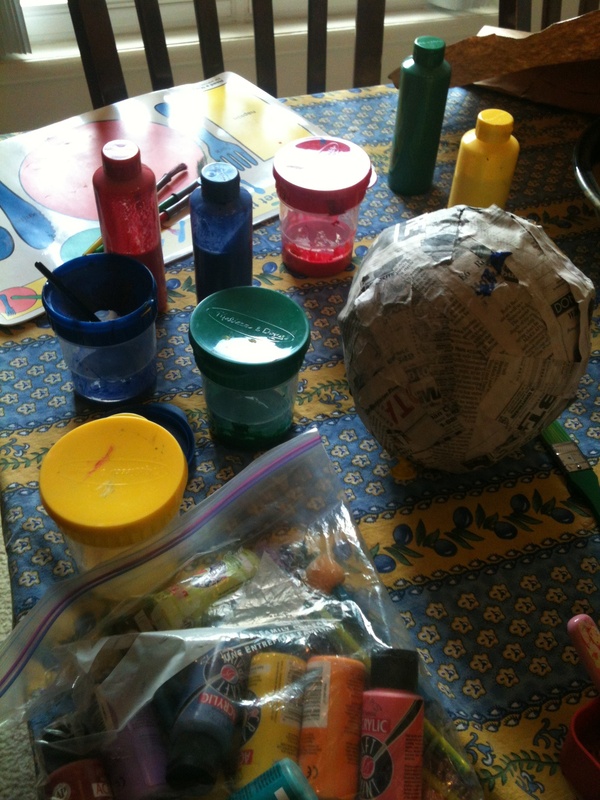 She brings home “projects” from school and scatters her designs on every surface. Come on. That’s cheerful, right? 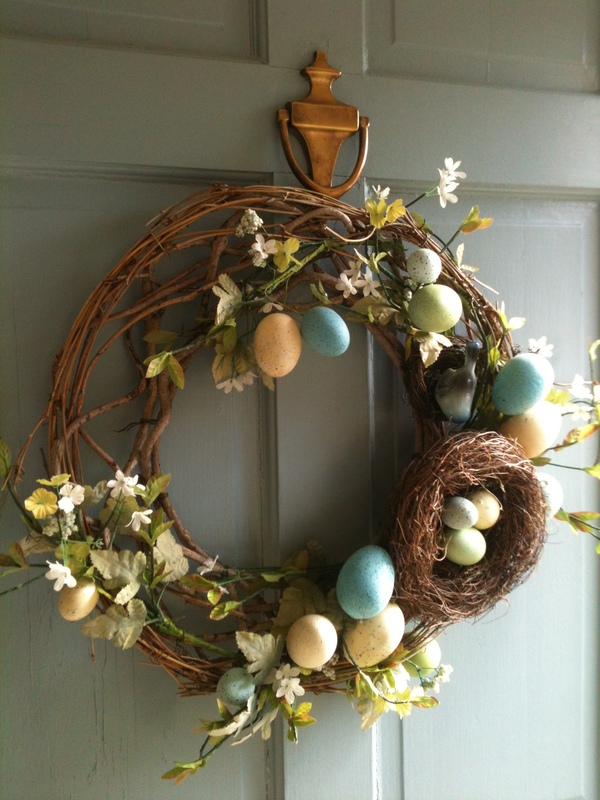 Nest and eggs and fake flowers. Come on. I’m still a decorating disappointment. 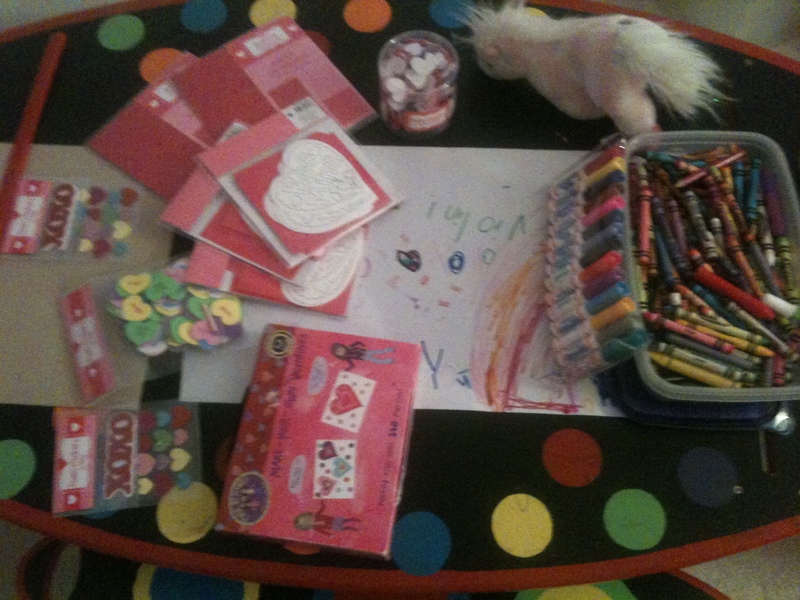 We need a craft fairy. Truth. …whispering, giggling, glittering with Sissy. If you’re a fan of piperism, you probably already know how much I loathe arts and crafts. Glitter gives me a panic attack. I was forbidden from puffy painting in my sorority. I just can’t make things. But Sissy and Piper love to. They’re both crafty. Sissy has her own sewing machine. She loves embroidery, whatever that means. Being a more is more kind of girl, Piper, too, loves to embellish everything in sight with color, beads, and sparkly stuff. My heart is beating faster just writing this. 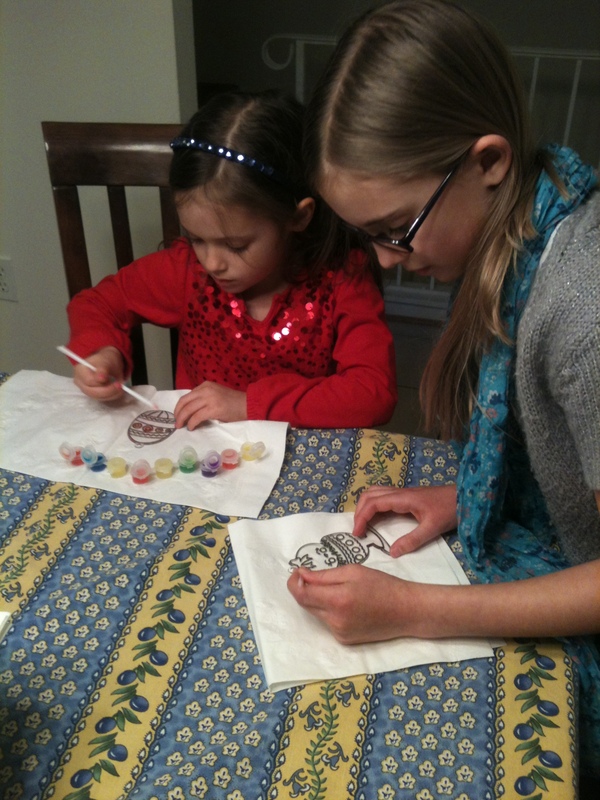 I may be the only mother in North America who has never done shrinky dinks. I didn’t even know what they were. A dear friend gave Piper a kit for the holidays. I tried to hide it before she saw it, but she had a playdate the next day and added it to their fun agenda. 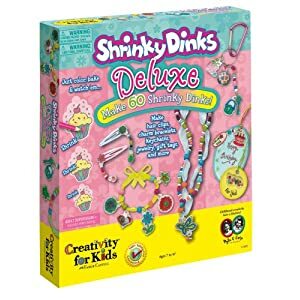 “Mom, Alex and I can do Shrinky my Dinky tomorrow! She’ll love it!” Giggle. Snort. I was too busy laughing inappropriately to defend myself. So, shrinky my dink they did. It turned out that I didn’t have to do much which is probably why the shrinky dinks turned out at all. 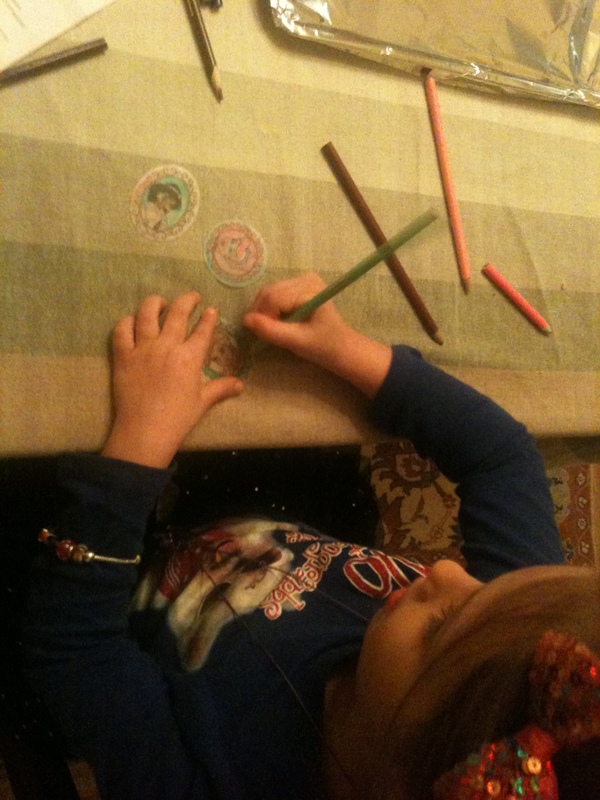 Piper even hunted down colored pencils in our house. Sissy had them, of course. 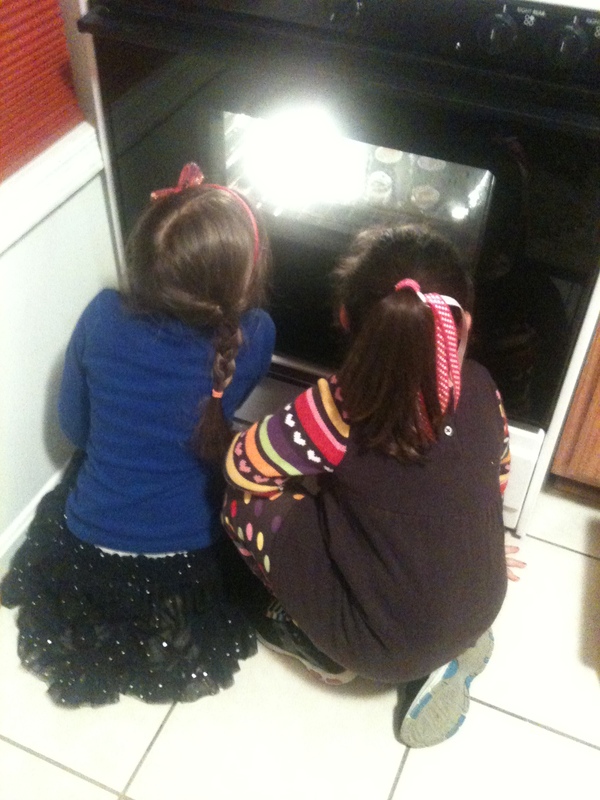 After the coloring, Piper and Alex watched the magic in the oven. I may have peeked. It was kind of cool. Best part? No mess. Happy kids. Whew. I Made This for You. Maybe. Piper’s latest obsession is making collages. This involves dragging things out of the craft closet, cutting everything into tiny pieces, and then gluing them onto a surface. Sometimes the surface is paper. Sometimes it’s a hat. One time it was her shoe. 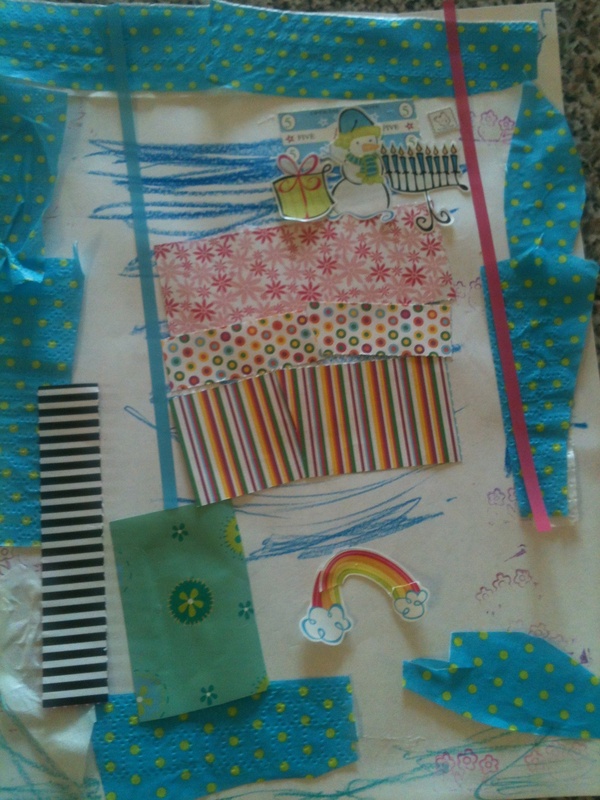 “I’m collaging!” she says, wiping a glue stick on Barbie’s leg and pressing red beads all over it. It looks like Barbie has an infectious disease. She should probably see a doctor. Barbie that is. As far as I can tell, Piper’s “collages” are perfectly healthy. I blame it on the art table. A few weeks ago in a massive reorganization (I had a syllabus to write and therefore began cleaning out every drawer in the house in order to procrastinate) we moved the art table from storage to Piper’s room. She needed a space to sit and “write” and play games. 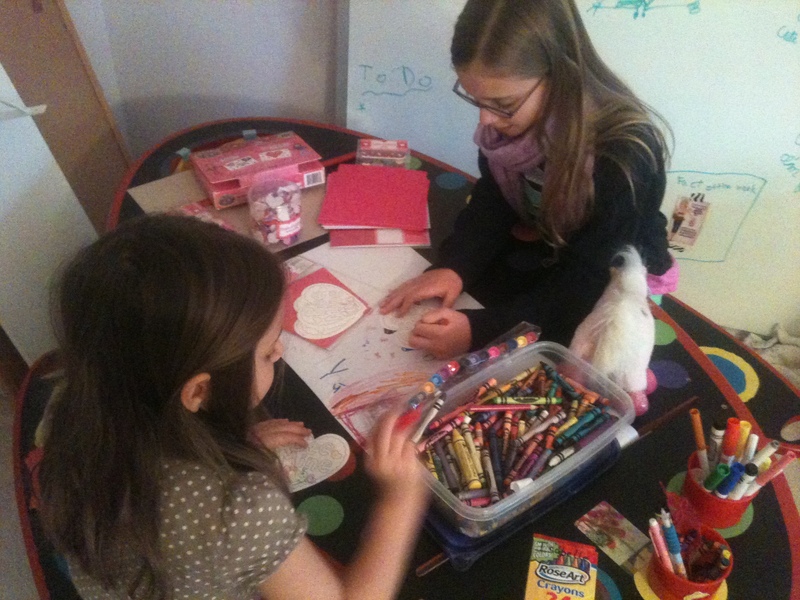 The art table needed to be used. Or else. 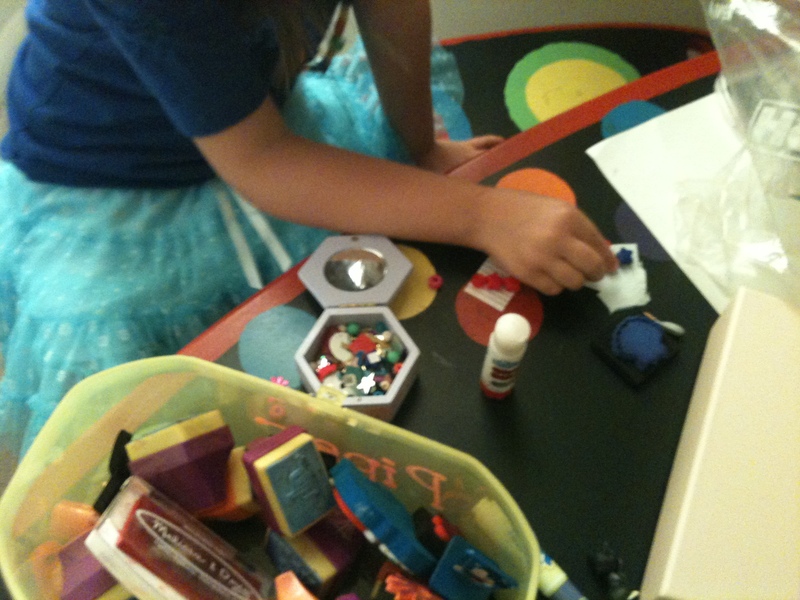 Making a collage is how Piper likes to unwind after a long day of kindergarten. She’s been making a lot of collages. Mostly for me. My birthday is coming up so each collage becomes an early gift. That is until her dad walks in the room. Then Piper takes the collage out of my hands and presents it to him. “I made this for you, Dad!” I should protest, but I know there will be more collages. Many more. Did you know Pluto is no longer considered a planet? Pluto didn’t actually change much. It’s still a bit of a dwarf. The definition of ‘planet’ simply changed to exclude the poor dwarf. I smell a conspiracy. Anyway, Piper has been learning about the planets. The planet number controversy didn’t interest her at all. Her planet isn’t a dwarf. It’s paper maiche. Or paper machete, as she calls it. Arts and crafts can be a dangerous business. 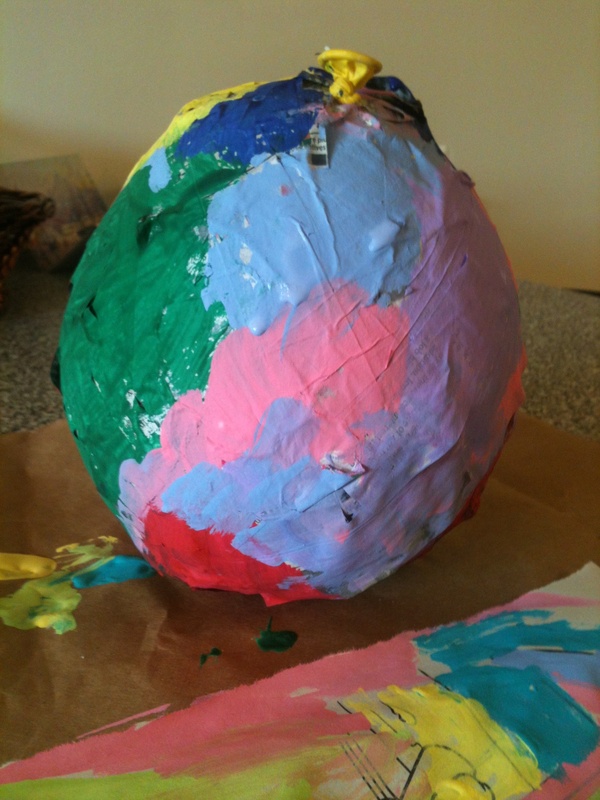 She named her planet Rosy. It’s a planet of rainbow flowers, of course.